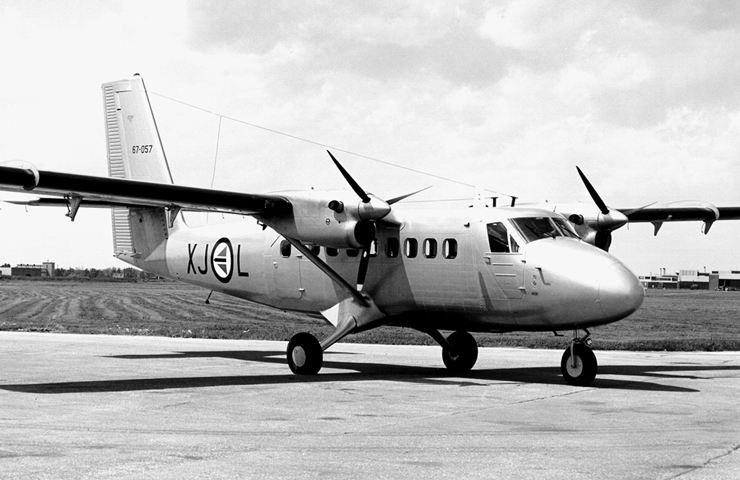 Manufacturer: The de Havilland Aircraft of Canada Ltd.; Garrett Boulevard, Downsview, Ontario M3K 1Y5, Canada. 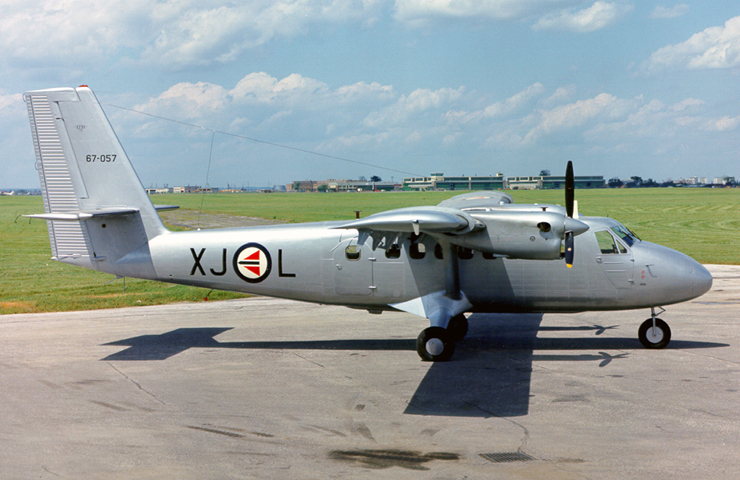 XJ-L 1966-12-07 Officially ordered by Royal Norwegian Air Force. 1967-06-07 First flight. (Date incorrect?). 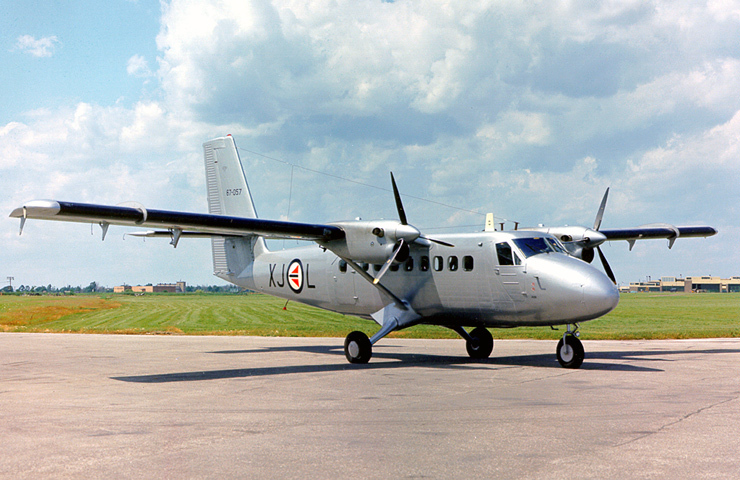 1967-07-20 Officially delivered from de Havilland Canada to RNoAF at Downsview Airport, Ontario, Canada. 1967-07-20 Taken on Charge by RNoAF Material Command (TOT 2:45). 1967-08-05 Værnes AFB - Bodø AFB. 1967-08-05 719 Squadron, Bodø AFB, Norway. 1969-03-10 RNoAF Material Command (LFK), Kjeller AFB, for depot maintenance (TOT 641:45). 1969-03-21 719 Squadron, Bodø AFB. 1970-01-27 RNoAF Material Command (LFK), Kjeller AFB, for depot maintenance (TOT 1310:10). 1970-02-16 719 Squadron, Bodø AFB. 057 1972-08-17 First flight with new squadron code. 1974-04-01 RNoAF Material Command (LFK), Kjeller AFB, for depot maintenance (TOT 3970:30). 1974-12-06 719 Squadron, Bodø AFB. 1975-11-26 RNoAF Material Command (LFK), Kjeller AFB, for depot maintenance (TOT 4525:20). 1976-01-08 719 Squadron, Bodø AFB. 1977-01-20 RNoAF Material Command (LFK), Kjeller AFB, for depot maintenance (TOT 5125:00). 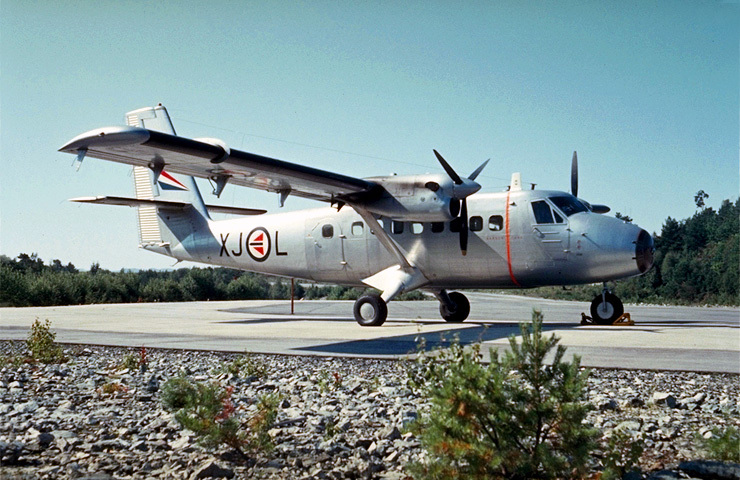 1977-01-27 719 Squadron, Bodø AFB. 1988-02-03 Fred Olsen Flyveselskap AS; Fornebu Airport, Oslo, for IRAN (TOT 10202). LFK Contract No: 710186. 1988-06-29 719 Squadron, Bodø AFB. 2001-??-?? Struck of Charge by RNoAF. 2001-??-?? Nordic Air AS; PO Box 48 Solakrossen, 4097 Sola, Noway. (Inge Dørheim, Ole Nygaard, Øyvind Pedersen, Rune Volden og Morten Åsli). Seller: Nordic Air AS; PO Box 48 Solakrossen, 4097 Sola, Noway. Purchaser: Kevin McCole; 1465 Hoolsett Road #157, Hooksett, NH 03106, USA. Kevin McCole; 1465 Hoolsett Road #157, Hooksett, NH 03106, USA. 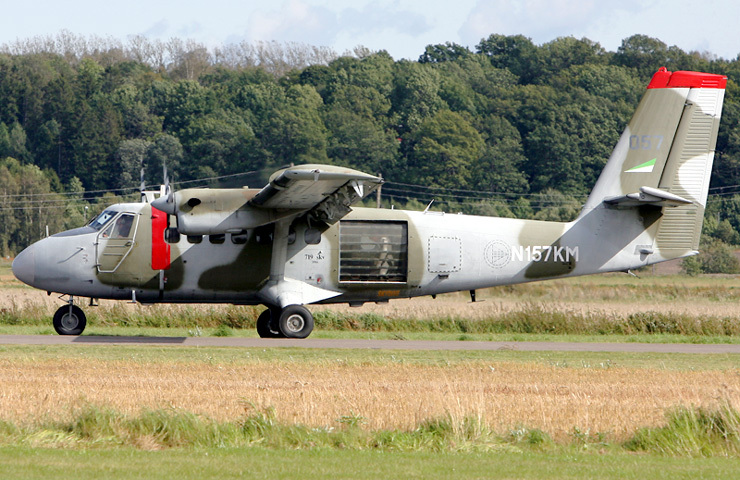 2002-03-22 Ferry flight started from Bodø AFB at local time 13:10. Ferry pilot Per Støre. Kevin McCole; 1 Morse Road, Dunbarton, New Hampshire 03046-4319, USA. 2007-07-?? Ferry flight from USA to Norway. 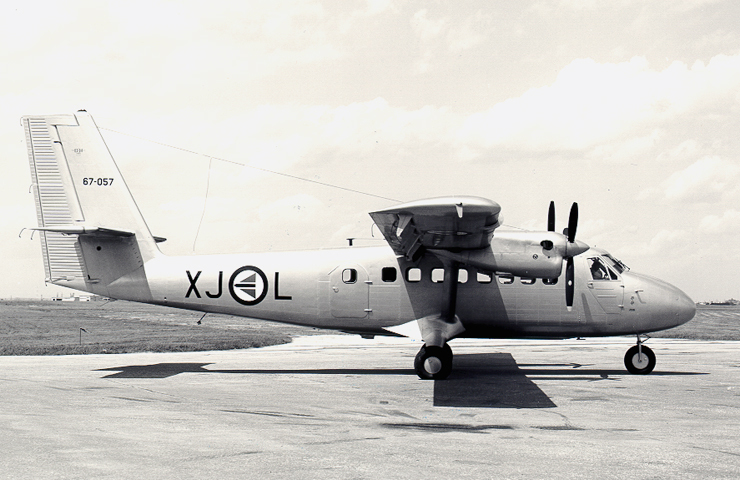 Operated in Norway by Hoppfly AS; Jarlsberg. 2008-??-?? Returned to the USA. 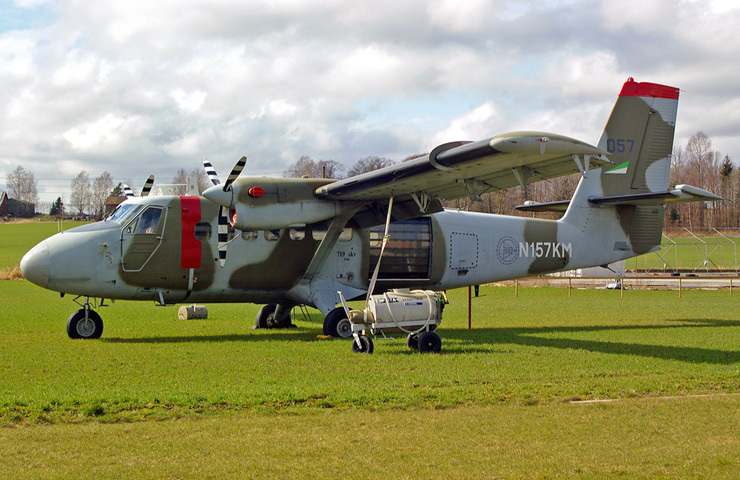 Purchaser: Desert Sand Aircraft Leasing Co., Inc.; 711 South Carson Street, Suite 6, Carson City, Nevada 89701-5268, USA. Desert Sand Aircraft Leasing Co., Inc.; 711 South Carson Street, Suite 6, Carson City, Nevada 89701-5268, USA. Leased out for skydiving operations. Shortly after take off from Clayton County Airport - Tara Field (K4A7/4A7) near Hampton, Henry County, Georgia, USA, the aircraft crashed into the woods near by the airport at 11:45 PM. Both persons aboard were killed; Bryan Hedrick (37) from Roswell and Oriel Roberts (48) from Hampton. Reportedly Hedrick was flying the aircraft when the accident happened. The aircraft had been to National Aerotech Aviation for maintenance, and was undergoing some final post-maintenance flight tests when the accident happened. Roberts was one of the owners of the maintenance company National Aerotech, while Hedrick was a pilot for the owner of the aircraft. The cause of the accident is not known at this date. 2014-10-06 Cancelled from FAA Registry. Bergen, Flesland AFB, Norway 197?